Trigger points are specific, hyper-irritable and hypersensitive areas in muscle that cause the muscle to suffer from decreased blood circulation, increased contraction and spasm, and a build up of toxins and waste. 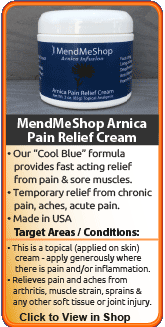 Lack of circulation creates a high level of toxins and increased nerve sensitivity which can range from a low ache to a sharp pain. Healthy muscle fibers are neither contracted nor stretched when they are at rest. When contracted the muscle fibers are closer together and when stretched, further apart. In a muscle that is causing trigger point pain, the fiber develops a knot and is in a constant state of contraction. The fiber around these knots is stretched by the excess tension and the muscle fiber becomes tighter. With the continuous contraction, blood flow is restricted in the trigger point area and essential oxygen and nutrients are prevented from reaching the muscle tissue. Toxins and waste build up in the muscle causing you pain, tension, irritation, and spasm. In the case of trigger points in the hip, just because the trigger point causes the pain does not mean that the location of the trigger point itself is painful. When the pain is located at a tense muscle spot it is called a primary trigger point. However, pain can also manifest itself in areas away from the active trigger point - such pain is called referred pain. It is important to treat the trigger point that causes the referred pain and not the location of the pain itself. Trigger points cause pain more often than any other condition and are drastically under-diagnosed due to lack of information. Trigger point pain is usually a factor in most injuries although treating the trigger points is often overlooked. A common condition related to triggers points is known as myofascial pain. Reduced circulation in trigger points will eventually lead to muscle shortening and restricted movement which further accentuates the pain, thus completing a cycle of decreased mobility and further pain. This commonly becomes the underlying cause of chronic hip pain and tight hip flexors, and the patient will continue to suffer from these until the problem trigger points are treated directly. Mild Trigger Points can be addressed sometimes through massage and some sufferers maintain that acupuncture treats these problems as well, though it is not accepted by many medical institutions. Permanent removal of chronic trigger points and conditions caused by this, typically requires treatment using Deep Tissue Therapy. Treating Trigger Point Pain - What Options Are There? If you have pain in your hip, buttock, lower back and thigh caused by tense, constricted muscles Deep Tissue Regeneration Therapy is the most effective home treatments for your trigger points. The trick to getting rid of the pain is loosening the knots to release the constricted muscle fibers. This will allow blood to flow through the fibers once again, bringing the vital oxygen and nutrients required for healthy tissue. 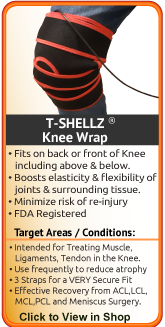 The most effective and pain-free way to loosen the knots is with the T•Shellz Wrap®. In addition, you want to get your muscle tissue back in the best possible condition you can. 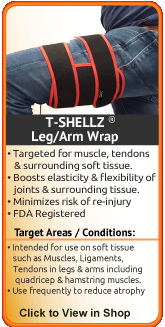 To do this, it is important to treat the scar tissue that forms in the muscle when the damaged tissue begins to heal - something the T•Shellz Wrap® is great at! Even with optimum healing, there is always less elasticity in previously injured muscles fibers. However, if you treat your trigger point pain properly with deep massage and DTR Therapy, risk of suffering from chronic trigger point pain and hip conditions later will be significantly reduced. There are healing tools that can help treat your hip muscle trigger point pain and speed up the healing process so you can get back to a life without further pain. Deep Tissue Regeneration Therapy (Deep Tissue Therapy) will loosen the knots at the trigger points, treat scar tissue, and promote blood flow to loosen your constricted muscles and heal the fibers faster and more completely than any other methods available. If you have inflammation, use a Cold Compress or Ice Pack to bring down the swelling. Once the inflammation is reduced, nourishing and strengthening the muscle tissue and surrounding area is recommended which can be achieved through use of the T•Shellz Wrap®. Using DTR Therapy (via the T•Shellz Wrap®) will speed soft tissue recovery, increase elasticity of your treated muscles and help heal your hip more completely. Talk to your doctor or physical therapist to find out which exercises are appropriate for your situation. The hip naturally receives a limited blood supply and when you stop moving your leg and hip because of the pain, the blood flow is reduced even further limiting your body's natural ability to heal itself. By treating your hip and thigh trigger points with Deep Tissue Therapy you can increase your body's blood supply to the muscle fibers and increase your body's natural healing power. 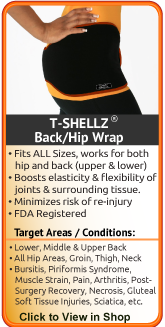 An T•Shellz Wrap® is the tool you need to treat your sore hip because it speeds healing and relaxes the surrounding muscles. With Deep Tissue Therapy, tissues are safely and gently stimulated. Your body responds with a rapid increase in blood flow to the area, increasing the supply of oxygen and nutrients to injured tissue cells to promote healing. 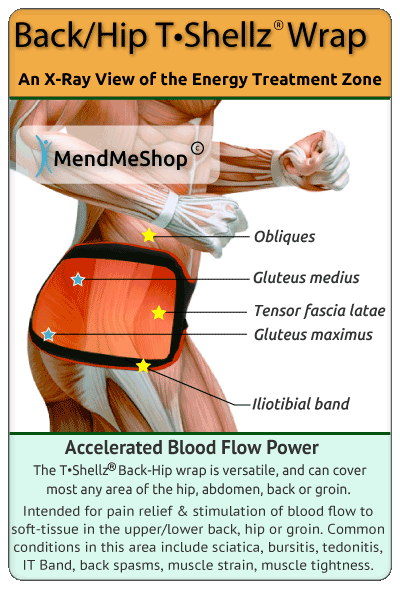 Our Back/Hip T•Shellz Wrap® provides effective, non-invasive, non-addictive pain relief and healing with no side effects. 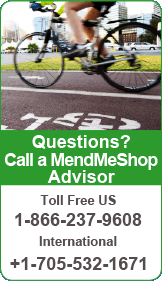 Would you like to discuss Trigger Point Pain or other conditions with a MendMyHip Advisor? We welcome you to call our office, toll free, at 1-866-237-9608 on weekdays between 8:00am and 9:00pm Eastern Standard Time or weekends between 11:00am and 6:00pm. There is no cost or obligation for this service and we will do our best to help provide you with the information you need. 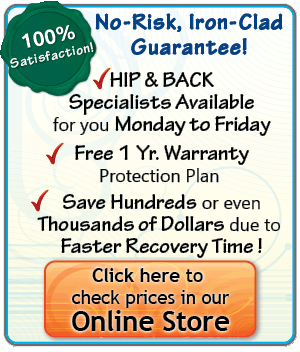 Our extensive and on-going research could be of great benefit in helping you overcome your hip pain once and for all. Living with hip pain is never easy and we can provide answers about causes of the pain, treatment options, potential stretches/ exercise to consider, and ways to manage the condition for the short & long term. 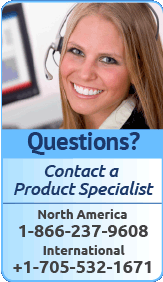 Best of all, we can show you what worked for hundreds of our previous clients. Improved blood flow whisks away dead cells and toxins that have built up over time in your trigger point location. When you stop moving your hip and leg due to pain, your muscles and other tissue can become weaker, circulation drops, and dead cells and toxins in the area build up, leading to further tissue deterioration - this can lead to atrophy. By clearing the area of toxins and increasing the amount of oxygen and nutrients to your muscle and other tissue, the risk of atrophy (muscle weakness and/or deterioration) is greatly reduced. Keeping your leg, hip, and buttock muscle tissue as healthy as possible throughout the healing process will allow you to improve hip strength and flexibility once your pain has gone and your trigger point pain has healed. We've helped thousands of people treat their painful injuries and conditions to get them back on the road to a pain-free life! Our customers have tried other common hip treatments, such as cortisone injections, pain killers, physical therapy, NSAIDs, and simply staying off their feet to give their hip the rest it needs, all without lasting results - until they found our incredible therapies! In addition, our customers include physicians, professional athletes, sports trainers and coaches, physical therapists, and nurses. 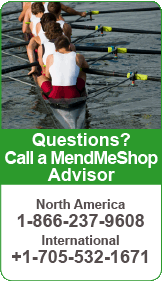 These professionals rely on products from MendMyHip to treat their patients, players, and themselves. Click here to read more about their experience with MendMyHip! Please be aware that this information is neither intended nor implied to be a substitute for professional medical advice. CALL YOUR HEALTHCARE PROVIDER IMMEDIATELY IF YOU THINK YOU MAY HAVE A MEDICAL EMERGENCY. Always seek the advice of your physician or other qualified health provider before using any of our outstanding products to make sure they're right for you and your condition or if you have any questions regarding a medical condition. It is recommended that you see your doctor for a proper diagnosis as there are many injuries and conditions that could be the cause of your pain.